TECHNOLOGY-PORTFOLIO.NET - Mobile phone manufacturer from China, Xiaomi has officially launched its newest smart phone, Xiaomi Mi Mix 3. 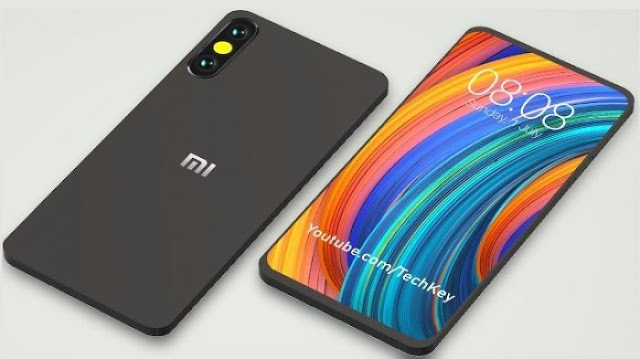 Xiaomi Mi Mix 3 has an appearance that is quite different from its predecessor Xiaomi cellphone. Xiaomi Mi Mix 3 has four cameras, namely two cameras in front and back. Two Xiaomi Mi Mix 3 rear cameras have a 12 megapixel resolution with a wide-angle lens. As for the front camera, Xiaomi Mi Mix 3 uses a camera with 24 megapixel resolution and 2 megapixels. For the main camera, it has an f / 1.8 aperture with 1.4 micro pixels, and a telephoto lens measuring f / 2.4 and 10 micro pixels. Xiaomi's front camera is designed to be hidden using a slide-out or slide system. Xiaomi Mi Mix 3 is equipped with Snapdragon 845 technology as in most of the latest Android phones. This phone has three variants that are distinguished from its memory capacity. The first model has 6 GB of RAM with 128 GB of internal memory, and the second model has 8 GB of RAM with 128 GB of internal memory. As for the third model, it has 8 GB of RAM with 256 GB of internal memory. For the screen, Xiaomi Mi Mix 3 has a ratio of 93.4 percent. The OLED screen used is 6.4 inches with an image resolution of 1080 pixels. Xiaomi Mi Mix 3 runs an Android 9 Pie system.